This is part two in six-segment article is the last in our four-part series offering advice to players on the steps necessary to create a championship caliber Ultimate team in their area. For our first practice, we met in a classroom. At this first meeting there were 15 students and 2 parents. A quick survey of the students indicated that we had one very good player and two more who had played a game or two before. The remaining students had an interest, but had no actual experience with the game. Another thing revealed in the meeting was that the better players would not be available until after a couple of games into the season. It seems they were deeply involved in a robotics competition and would not be available until afterwards. I did not know it at the time, but our situation was actually pretty typical of a new team. The queasy feeling in my stomach was not uncalled for. I explained to the meeting attendees that I had a 3 year plan for the team. The first year they should expect to win three games, the second year they should expect to finish near the top of the league and by the third year they should be in the league championship game. I then said it was my job to meet the objectives of the 3 year plan and it was their job to prove me wrong by exceeding my expectations. Coach Tip: Once you explain the handler and cutter roles it naturally segues into an opportunity to present your offensive and defensive philosophies. This is where you set the future of the team for the upcoming season. It is a terribly important moment. You could take the easy route and teach the same strategies that every other team teaches. No one will fault you for doing this and the parents will be understanding when you lose a lot of games. On the other hand, you could implement that exotic cross-lateral reversed intent shift paradigm stratagem you’ve been thinking about for a couple of years. Of course you’ll still lose, only this time parents might not be so understanding. I decided that the best thing would be to implement an offensive and defensive strategy that would serve to develop the student’s skills & game understanding quickly. This way, even if the team didn’t fare well, the graduating seniors would be well prepared when they tried out for their college team the next fall. To do this, I decided to teach a motion press offense with a lot of opportunities for decision making, passing, cutting and catching. For defense, a straight forward man-to-man and a basic 3-3-1 zone would do. If I could do this, the year would be considered a success with only three wins. Class time was over; it was off to the fields! It turns out we didn’t get the football field adjacent to the school, we got the playground, which was about 80 yards long & 35 yards wide? If I was the whiny type, I’d use this as an opportunity to complain about everything. But since I don’t whine, I won’t. 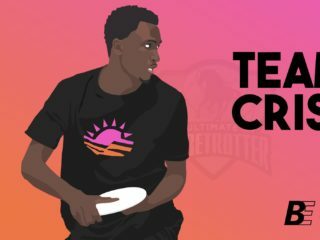 Coach Tip: Just how do you start the very first practice of a team with players who have never played Ultimate before if you want to get it right? Well, it’s not a problem because it doesn’t matter where you start. It doesn’t matter because whatever you do is going to be wrong. It seems as if everything in Ultimate depends on something else. There’s always something else you should teach before you teach the thing you want to teach. If you start with class work, players will complain that they’re there to play Ultimate, not study it. If you start playing immediately, the skills are so poor that no learning occurs. 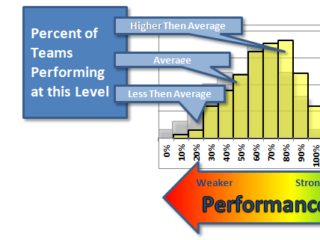 If you focus on developing skills there will be grousing about not enough playing time. Ultimate skills are acquired in cycles; you can’t teach one thing completely then move on to the next thing. Catching follows throwing, followed by timing, followed by offensive, followed by defense, followed by throwing, followed by catching and so forth. My coaching bag started with a first aid kit, emergency contact information, a cell phone, 20 discs, 30 short cones, 7 pinnies, a whistle and a stopwatch. This would be enough to do most anything I needed to do with the team throughout the season. When we started practicing, none of the pledged donations had arrived, so I ended up buying or borrowing everything myself. Before the first practice even started, I was out on the field setting things up. A coach can control a game by altering the dimensions of the field. A narrow field helps the defense by clogging the passing lanes. A wide field helps the offense by opening up the passing lanes. Large end zones encourage deep throws and a small end zone forces the offense to be more careful near the end zone. I set up the field full width and with 10-yard deep end zones. I started the outdoor portion of the practice with three simple drills that would allow me to quickly assess player skill levels. The first drill I used didn’t really have a name, so I’ll just called it the double disc drill. The second drill was the Kill Drill and the third drill was a give-and-go drill. These drills, while very simple, embody the fundamentals of my offensive scheme. I planned to run these drills at every practice. The Double-Disc Drill is really easy to set up. It is nothing more than two people standing 8-10 yards apart simultaneously throwing 2 discs back and forth. It sounds easy, but it isn’t. The players must catch and then quickly get off an accurate throw while maintaining a visual awareness of the other player’s actions. As the players improve, different throws can be incorporated. 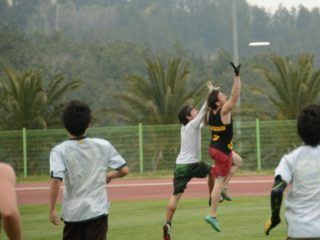 If the players become really good at the drill, the two players can use more than two discs. In fact, I challenge my players to juggle three or more discs this way à la the Flying Karamazov Brothers. The Kill Drill teaches throw timing and how to catch, stop, throw & cut in one clean motion. An added benefit is that it takes about the same amount of energy to run 10 cycles of the Kill Drill as it takes to play a single game point. I used this fact to assess the conditioning of the students. The Kill Drill uses 3 cones arranged in an equilateral triangle about 8 yards on a side. The thrower stands on one cone and throws the disc to the cutter as the cutter runs back and forth between the other two cones. The skills developed here are throw accuracy & timing for the passer and cutting for the catcher. The thrower must time their throws to get to the cone at the same instant as the cutter. The cutter must adjust their gait such that they can catch the disc, plant their pivot foot, return the throw and cut back to the other cone in one smooth motion. If you do this back and forth motion 10 times you will understand why it is called the Kill Drill. The thrower and cutter switch places after every series. My goal was for the players to be able to catch, plant and throw in less than half a second. The Give-and-Go Drill isn’t so much a drill as it is two people running the length of the field passing the disc back and forth. This drill gets more complicated as the team’s skill level increases, but for now this is enough. In fact, whenever the team jogs, they will always pair up and toss a disc as they are running. Running and throwing in traffic will need to become second nature to them. We ran these drills for about 20 minutes. But before we could scrimmage, there was one more thing I had to do. I needed a bit more assessment information. It was time to run some sprints. Nothing fancy here. I lined them up on one goal line and watched them race to the other goal line. I had them do this four times with a short break between each run. In each run, I was looking for who moved out the quickest and who had the speed at the far end. These runs helped me to distinguish between players better suited for the handler and cutter positions. For effect I used my stopwatch, even though I wasn’t quite sure how it worked yet. Before we scrimmaged, I asked who wanted to handle and who wanted to cut. I took care to once again explain that handlers do all the work and cutters get all the credit. I had the handlers stand in one group and the cutters in another. I looked over the two groups and made some adjustments based on my observations during the drills and sprints. I was careful to explain my reasons for every adjustment. I then split the two groups into teams and I gave one team the pinnies. Coach Tip: I do need to advise you that this first scrimmage is going to be ugly, ugly, ugly. Way uglier than even those funny looking dogs you’re always seeing on the Internet. Just be patient, school-aged players are amazing. In a short time you will begin to see progress and organization. While you need to patient with some errors, you still need to be very aware of things that must be addressed immediately. Bad habits learned here can last a lifetime. The two biggest problems I observed were cheating and swearing. You have got to stop these two things immediately. Teaching the concept of Spirit of the Game (SoG) must come from the beginning. In speaking with other coaches I hear that these SoG problems are quite common with first year teams. It makes sense as most new teams are composed of players transitioning from other unsupervised sports where such behavior is more common. The biggest mistake I made with the team was thinking that the swearing would go away as the kids became less frustrated. That was not the case; swearing would become a troubling issue for much of the season. The other, more manageable, problem I saw was high floaty throws into the middle of the field. For the first scrimmage I didn’t interrupt the game much. I just stood in the middle of the fray and offered a running commentary on the decisions. My main goal was to assess things in order to prepare the lesson plan for the next day. The first scrimmage ended without a score. Coach Tip: I do not ever tell the players not to use certain throws. I encourage players to develop backhands, forehands, thumbers, scoobers and hammers. I do insist though that the players use a throw appropriate to the situation. I will always take care in my critiques to distinguish if the pass was a good idea and if the selected throw technique was appropriate to the situation. 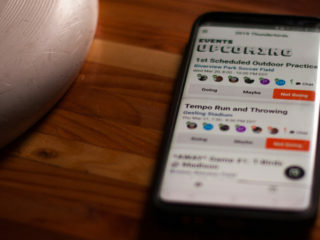 Every throw has a use: scoobers, thumbers and blades can be the proper throw choice in a given situation. 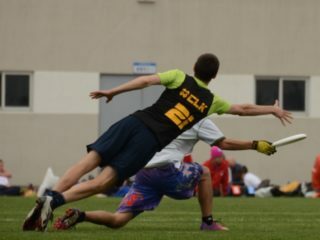 Part 3 goes over introducing drills and developing an understanding about ultimate.